Directions: FROM BEAL PARKWAY, GO WEST AT TO MANRING DR. AT THE ”T” TURN LEFT ON OVERBROOK DR T0 746 ON YOUR RIGHT. Directions: From intersection of Hwy. 90 at Hwy. 85 East HWY. 90, go approximately 11 miles, left on Camellia Ave., Go north 1 block, turn left on Bobolink Way, Second Lot on Left. Remarks: Real Estate Owned REO. All brick, vinyl Trim, 3-dimensional Shingles, lots of Tile. 9′ ceiling in LR. Master suite has large walk-in closet, bath with garden tub and simulated granite countertop, (raised height vanity) tile floor. Beautiful, workable kitchen with light finished cabinetry to ceiling, self cleaning Kenmore solid top range, built in MV over range, dishwasher. Spanish lace walls and ceiling, large pantry, inside laundry with cabinetry; tile in Kit, Laundry, pantry, entry and hallway. Oversized garage (588 SF) has additional storage and floor is same level as house. Cellulose insulation for additional energy efficiency. Covered Porch (145 SF) for relaxing. Beautiful lead glass door and transom, less than 5 minutes from the Blackstone golf course. 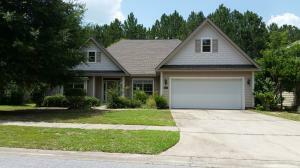 Call to look at 4629 Bobolink. Remarks: Real Estate Owned REO. 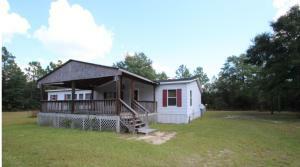 This 3 bed with 2 bath sits on a paved road with frontage on Laird Rd. Level lot mostly wooded for privacy but cleared around the home and workshop building. Large covered front and back decks. Enjoy the fireplace during the winter months. Soak in the large master bath. 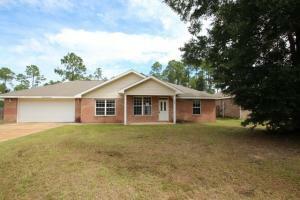 This home sits on just over 4 acres at a great location close to Eglin AFB, I-10, Blackstone Golf Course, Emerald Coast Zoo, Bob Sikes Airport, North Okaloosa Medical Center, and just over 30 minutes to the crystal white sandy beaches. 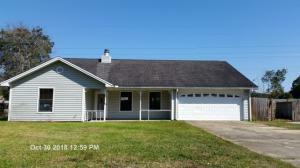 This property may qualify for Seller Financing (Vendee) Call to take a look at 1898 Laird Rd today. Remarks: Real Estate Owned REO.This property may qualify for Seller Financing. Property was built prior to 1978 and lead based paint may potentially exist.This 2 bedroom 2 bath condo with the great price is close to everything. The complex has tennis courts, swimming pool, two grills provided for cookouts, park benches, picnic tables and there is a club house available with fireplace and bar area call to take a look at 405 MARSHALL CT today. Directions: Located on Hwy 20, approx 2 miles West of the business 331 North intersection in Freeport or 20 miles east of Bluewater Bay on Hwy 20. Remarks: Real Estate Owned. This 3 bed 2 bath home is located on lot 39 Symphony at Hammock Bay. Over a quarter acre lot with a privacy fenced backyard. This floor plan features granite countertops, maple cabinets, crown molding, fireplace, bullnose corners, master bath with shower and separate tub plus more!! Call to take a look at 121 Concert today. Remarks: Real Estate Owned. This 3 bed 2 bath home is located on lot 39 Symphony at Hammock Bay. Over a quarter acre lot with a privacy fenced backyard. This floor plan features granite countertops, maple cabinets, crown molding, fireplace, bullnose corners, master bath with shower and separate tub plus more!! 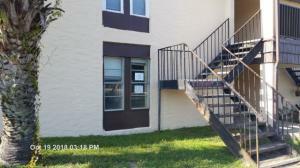 Call to take a look at 121 Concert ct today.